She is also an extremely modest and generous lady, always willing to share her wisdom. 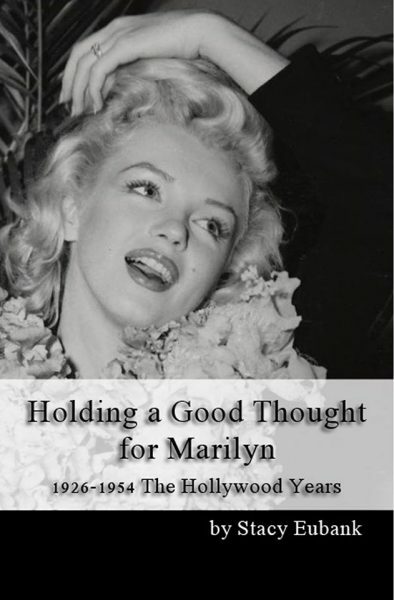 Holding a Good Thought for Marilyn is a project she has been working on throughout the eleven years that I’ve known her, and The Hollywood Years is its first fruition. A second volume, The New York Years, is also planned after Stacy takes a well-earned break. Some may compare this book to Gary Vitacco-Robles’ two-part biography, Icon. But Stacy is truly in a league of her own. She previously served as a research assistant for Lois Banner, and I’m sure Dr Banner would say the same as author Maurice Zolotow once did about James Haspiel – that Stacy could have written an even better biography than hers. Fortunately, Stacy has risen to the challenge, using her extraordinary collection of vintage magazines and newspapers as the basis of her work. 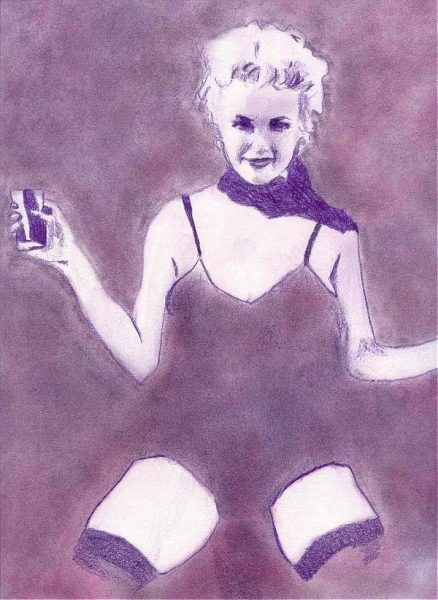 There are no photographs inside the book, but Stacy has instead provided her own illustrations – she is also a talented artist, and was previously featured in Roger Taylor’s Marilyn in Art.